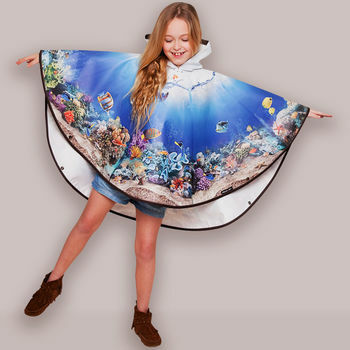 Fabulous Aquarium themed waterproof Poncho for Children. Rain shouldn’t stop the fun, this exciting Poncho is perfect for rainy days at the park, family outings or simply as everyday rainwear. Cleverly designed to be longer in the back ensuring protection when sitting on the ground or wet surfaces. Not just fun but practical too, made from durable yet lightweight waterproof materials and finished to a premium standard with Press Stud closures at either side and a complementary coloured binding at the hem. Printed using our cutting edge UV printing technology which produces an incredibly detailed, vibrant design that wont fade. Very portable, the Poncho packs away small into a handy drawstring carry bag in a matching design. Waterproof 150gram PU coated Polyester. 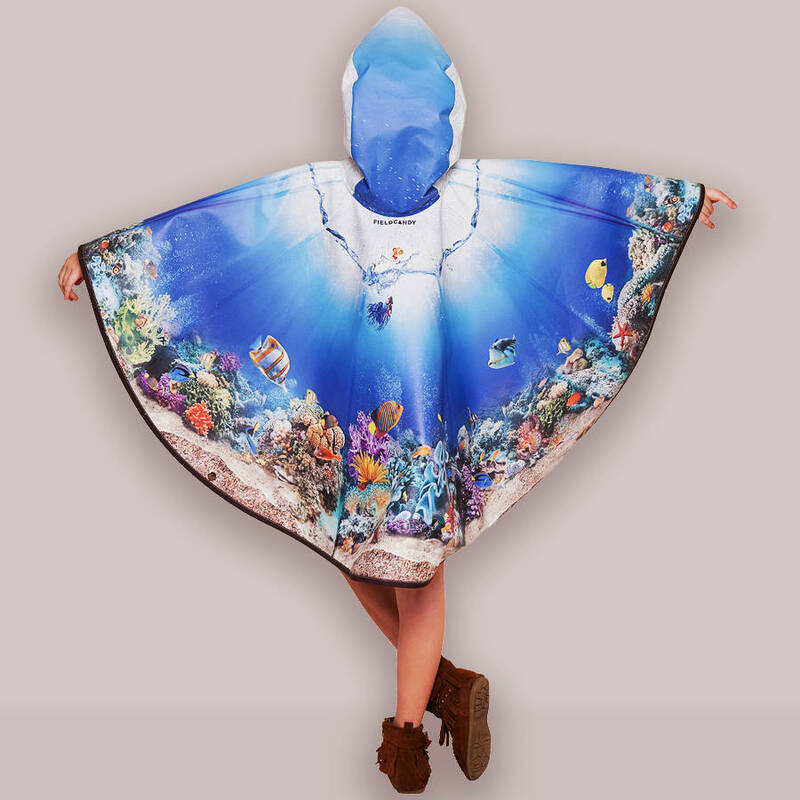 This product is dispatched to you by FieldCandy.